Are you ready for the end of the year? It is coming soon. I saw someone on Instagram that gets out next week!! We still have another month or so where I live but it is never to soon to start prepping for the end of the year. 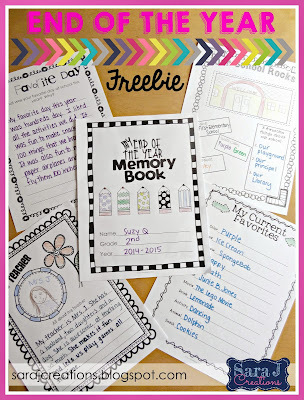 I have a memory book freebie for you today to help keep your students busy and reflective during those last weeks/days of the year when their little minds are on one thing - VACATION! !